Our perception of life at Monticello has changed dramatically over the past quarter century. The image of an estate presided over by a benevolent Thomas Jefferson has given way to a more complex view of Monticello as a working plantation, the success of which was made possible by the work of enslaved men, women, and children. At the center of this transition has been the work of Lucia �Cinder� Stanton, recognized as the leading interpreter of Jefferson�s life as a planter and master and of the lives of his slaves and their descendants. 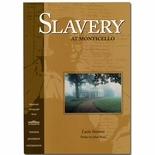 This volume represents the first attempt to pull together Stanton�s most important writings on slavery at Monticello and beyond. 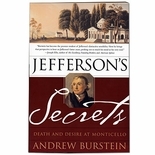 Stanton�s pioneering work deepened our understanding of Jefferson�his character and psychology�without demonizing him. But perhaps even more important is the light her writings have shed on the lives of the slaves at Monticello. 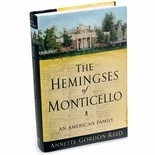 Her detailed reconstruction for modern readers of slaves� lives vividly reveals their active roles in the creation of Monticello and a dynamic community previously unimagined. The essays collected here address a rich variety of subjects: Jefferson�s attitudes toward slaves and slavery and his role as a plantation manager; extensive biographies of individuals and families (including the Hemingses) at Monticello and at Jefferson�s White House; and remarkable stories of the lives of former slaves and their descendants after Monticello, including the experience of those who served in the Union Army in the Civil War. Each piece is characterized by Stanton�s deep knowledge of her subject and by her determination to do justice to both Jefferson and his slaves. Lucia Stanton is Shannon Senior Historian at the Thomas Jefferson Foundation at Monticello. 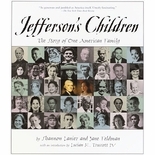 Published in association with the Thomas Jefferson Foundation. Paperback, 29 black and white illustrations, 369 pages.